Moondog was backwards and forwards at the same time. He was an antimodernist conservative and an experimental progressive. He was a skeptical insider and a confident outsider. He built himself complex drum sets to be played on street level and used latest multi-track technology to produce recordings of himself in early as 1950. 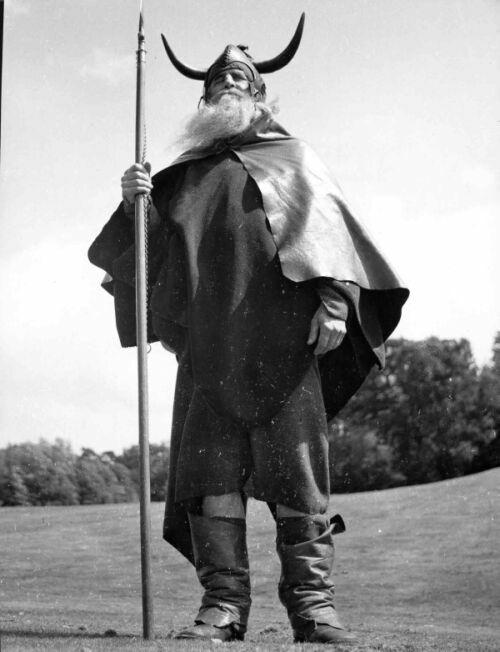 Contrasts and contradictions appear throughout the life and work of the blind American composer and poet Moondog (Louis Hardin, 1916-1999). Let’s forget about the street Viking for a second and have a close look on how carefully Moondog developed his polyphonic music, his modular percussion instruments, his symmetric costumes and secular pre- and post-historic world views. On one hand Moondog was strongly adapted to tonality and counter point – he insisted on being a classical composer in the 20th century. On the other hand there are strong connections to the experimental currents in the Manhattan spheres of the 1950s and 1960s, to the vanguards of Jazz and Electronic Music, Rock ‘n’ Roll and Pop, to Minimal Music, Hippie poets and early World Music. Moondog, who called himself a “European in exile”, immigrated in 1974 from New York State to Germany and was able to tour, write and compose, and deepen his work on a fundamental musical language he called The Overtone Continuum. This late independence was made possible through the welcoming and friendly citizens around Recklinghausen on the border of a post-industrial Ruhrgebiet. Volker Zander is a musician and publisher, living in Cologne. He writes and composes for theater and radio productions, also is part of the curatorial team for the municipal concert series reiheM in Cologne. Since 2005 Volker Zander runs the artist record label Apparent Extent.